The new advanced wireless flashgun from Yongnuo is being offered first-come, first-served for $180. 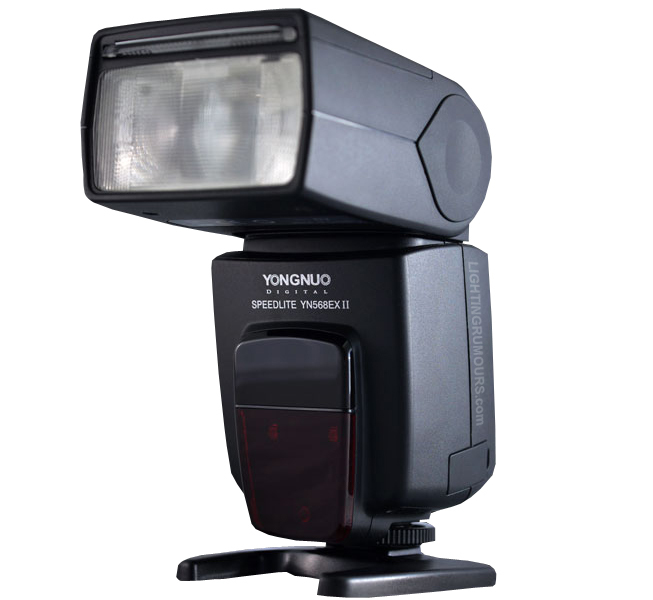 Several online sellers have begun accepting orders for the Yongnuo YN568EX II flashgun. The device, officially announced earlier this week, is the first system flash from the Chinese manufacturer capable of controlling a Canon E-TTL wireless setup. Previous Yongnuo “slave” speedlites can receive, but not transmit optical signals. Hong Kong-based retailers YongnuoStore.com and ThePhotoGadget have announced availability of the YN568EX II in small quantities, each pricing it just under US$180 per unit. YongnuoStore is also offering 5% off with voucher code YN568ExII4LD. If demand outstrips supply from these unofficial sources then you might have to wait much longer until they restock, so caveat emptor. You can search for the flash on eBay here or check the manufacturer’s official store. 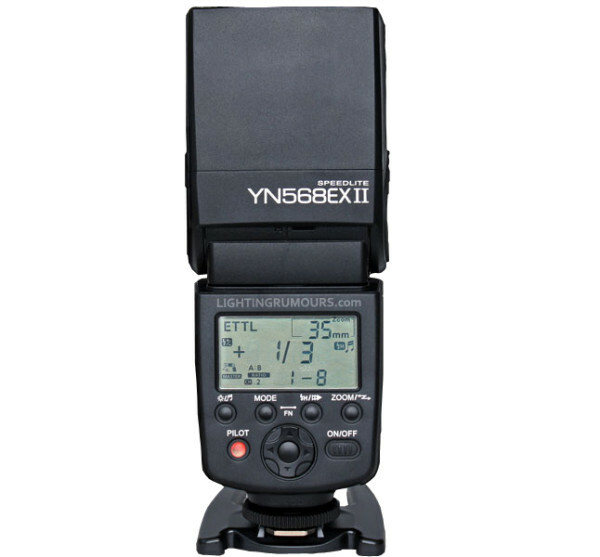 Update: The YN568EX II is now listed on eBay. Competing “master” flashes on the market include the Phottix Mitros, Canon 600EX, Nissin Di866 II and Mecablitz 58 AF-2 . Whilst cheaper, the YN568EX II has no external power socket, leaving it with a potential performance disadvantage. A more comparable unit might therefore be the new Mecablitz 52 AF-1. However the YN unit should still be better than the Calumet Genesis SP692, which has clunky controls and lacks high-speed sync support. Unlike the recently-released Triopo TR-860EX, the Yongnuo YN568EX II has no 2.4GHz functionality built-in, requiring external flash trigger receivers for radio control.